Portable concrete batch plant for sale is more suitable for small and medium-sized construction projects because of its convenient movement and high working efficiency. Along with the increasing development of global economy, there is a big demand of concrete from the modern construction industry. 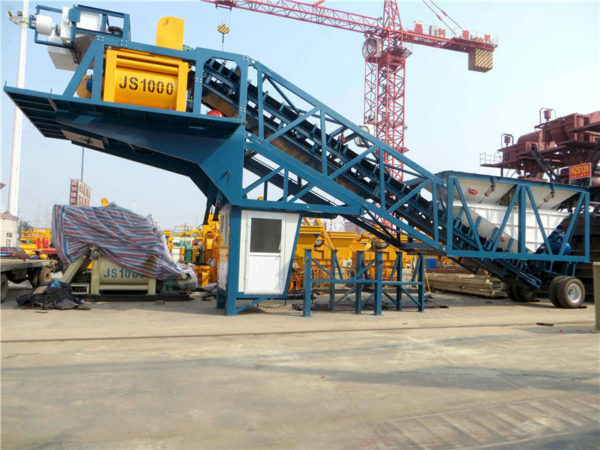 So portable concrete batch plant for sale has emerged at this moment. Portable concrete mixing plants can be quickly transported from one construction site to another, which can greatly reduce the transportation time and save your construction cost. 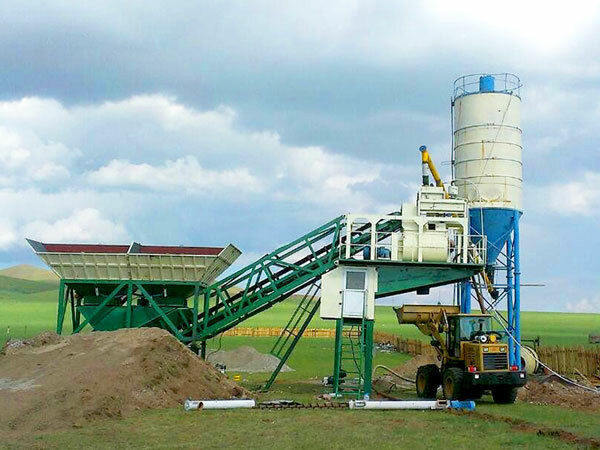 Therefore, portable concrete batch plant for sale becomes more and more popular among customers. 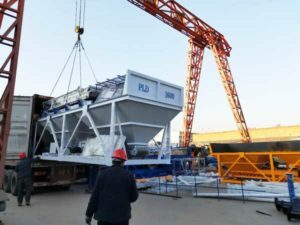 If you have a small or medium project, and if you don’t know what type of concrete batch plant you should choose, portable concrete batch plant is an ideal choice for you. 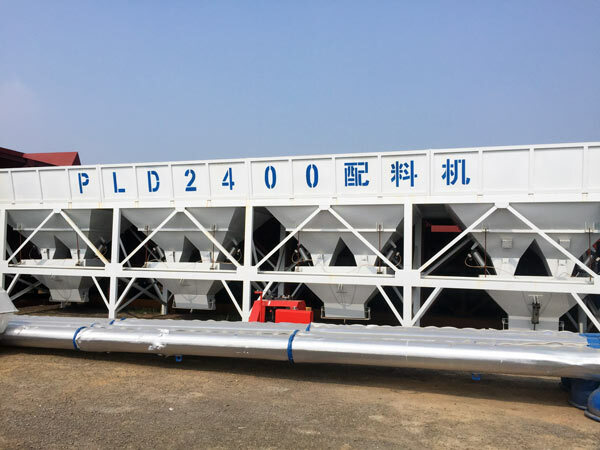 According to its production capacity per hour, portable concrete batch plant for sale have four models that you can choose, YHZS25, YHZS35, YHZS50, YHZS75. 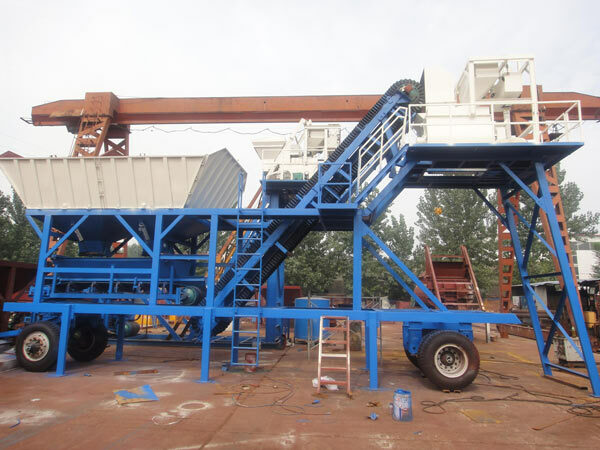 Each model portable batch plant consists of concrete batching machine, aggregate lifting system, mixing system, cement silo, control system and so on. Of course, if you don’t know how to select a suitable model for your construction project, welcome to contact us. Our salesman will help you design a plan. 1. Portable concrete batch plant for sale has compact structure, novel appearance, easy operation, mobile movement and long service life. 2. 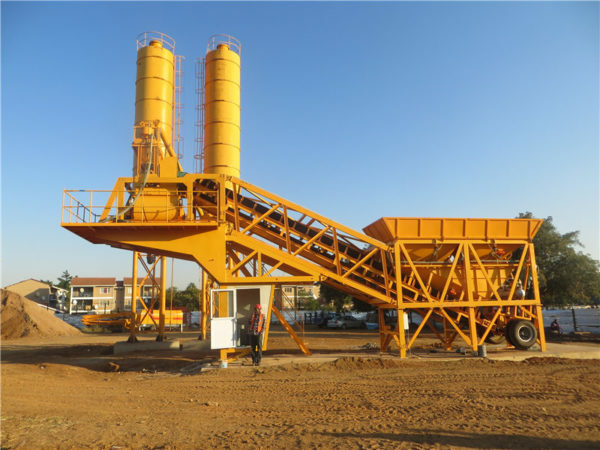 Portable concrete batch plant for sale has wide range of application and high availability, which can make great contribution to the development of railway, bridges, ports, hydropower and other projects. 3. Small portable concrete batch plant has the features of flexible movement and easy disassembly, which can greatly meet your construction demand and shorten your construction periods. 4. Aggregate, cement, water and additive have their own electronic weighing systems, which can make weighing more accurate. This will make the finished concrete have higher quality. 5. 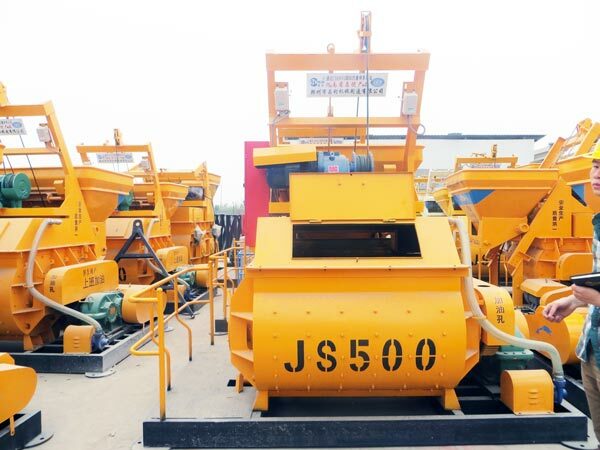 JS twin shaft compulsory concrete mixer of portable concrete batching plant has the advantages of good mixing quality and quickly mixing speed. Moreover, the mixer has good quality and is more durable. Before operating plant, you should learn how it work. Please watch the following video. 1. The operator should check the electrical instruments, check whether the power indicator is on, and check whether the numbers on the digital display screen are zero. 2. Check the height of the oil in the mixer’s lubricating oil tank. If the oil is inadequate, operator need to add the oil before operating. 3. 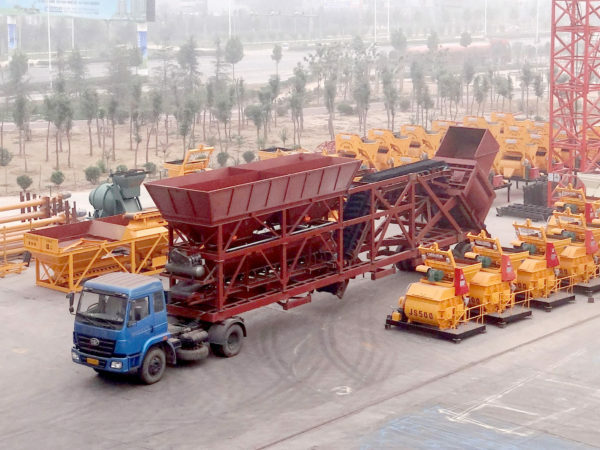 Check whether the aggregate lifting system of portable cement plant can run normally. Meanwhile, check whether there is anything in the hopper. If yes, operator should clean the hopper before operating. 4. Check the weighing system. Check whether the pointer can turn properly. 5. Turn on the mixer. After 5 to 10 minutes, check the operation of the mixer. 1. Check the number of operating current of the portable cement batch plant at any time, generally between 20 and 45A. 2. Check the temperature of the motor and the working condition of the every component. 3. Check the measurement and unloading conditions of aggregate, and make timely adjustments to those which do not meet the requirements. 1. Clean the mixer and clean it with water in time. 2. Keep the clean of whole portable concrete mixer batching plants. 3. Close down the electricity. The following picture is our Aimix Group service content. If you choose our company, we believe we can provide you with a professional service. Before you installing the portable concrete mixer plant, our engineers will inspect the surroundings of your construction project. They can design a plan that greatly shorten the coverage area and reduce the impact of noise and pollution on the surrounding environment. We also can give you some advice about where the plant should be installed according to the place of your construction project. This can reduce the machine coverage area and save your construction project. When we export the portable concrete plant to our customer’s country, we also send our engineer to their country. Our engineer will help them install the machine and test whether the plant can work normally. Our engineers help our customers train their operator. We will train them over and over again in order that they can safely operate the batching plant portable. The control system of our Aimix Group plant includes fully automatic control system and semi-automatic control system. 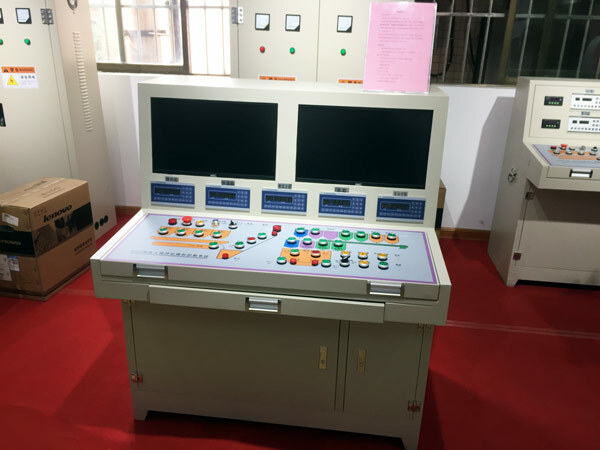 Fully automatic control system can control the machine by computer; while semi-automatic control system control the plant by control panel. Our engineers will tell them how to use the control system and how to operate the plant. So you don’t worry you can’t operate the portable concrete batch plant after purchasing it. When one project is finished, our engineer also can assist you in transferring portable concrete batch plant. Right the method of routine maintenance not only can reduce the failure rate of portable concrete plants, but also save you maintenance cost. Therefore, we can teach you some ways of routine maintenance. Moreover, every year, we have at least four times to visit our customer. At that time, we can help our customer check up the machine. 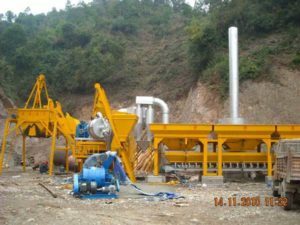 When your portable batch plant for sale is out of order, you can contact us at once. Our engineer will try them best to help you. If the parts of your plants is out of operation, we can provide you with the original parts. To sum up, our Aimix Group has professional service team. 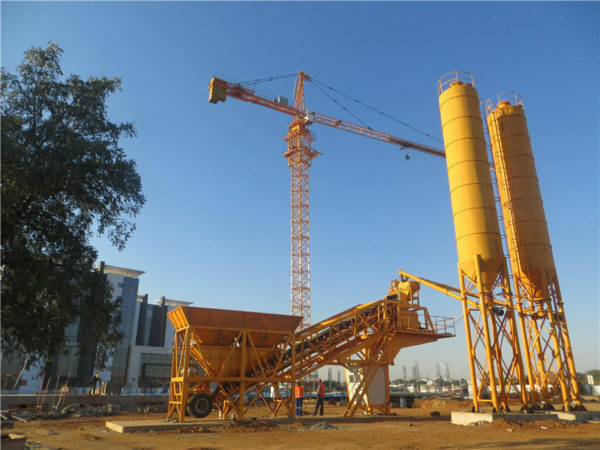 If you want to find a reliable portable concrete batch plant manufacturer and supplier and get a professional service, welcome to choose our Aimix Group.